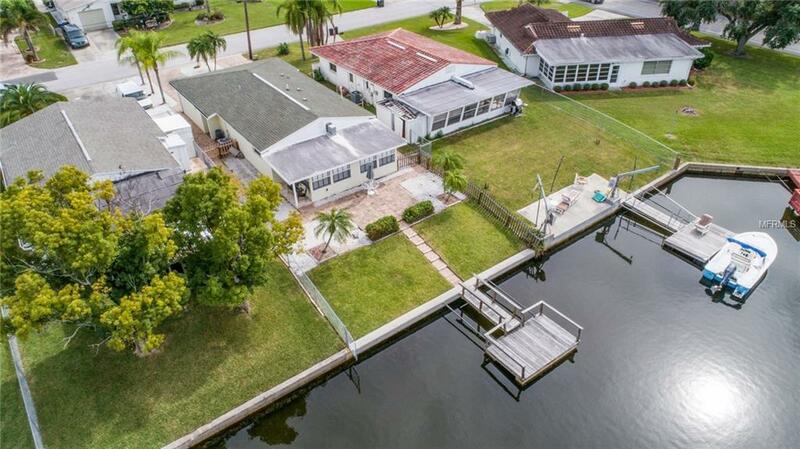 Quality upgraded 2 bedroom, 2 bath home with a large Florida room overlooking canal with private dock. 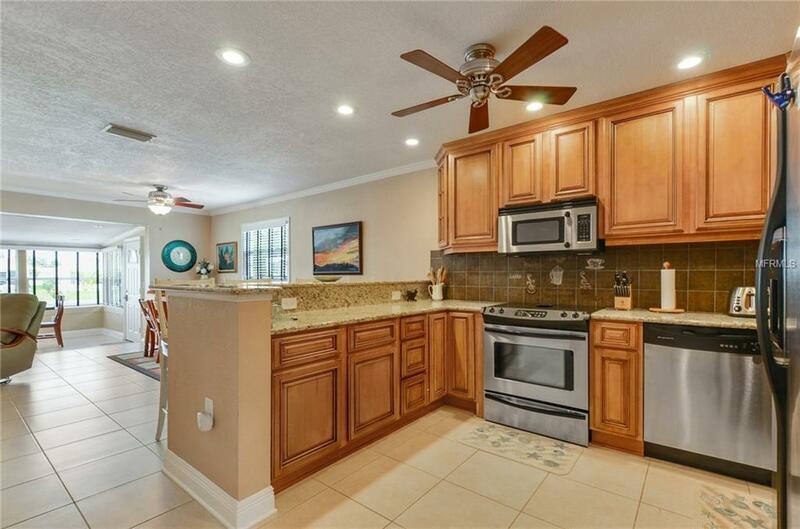 This home has all the upgrades; stainless appliances, granite countertops, tile flooring throughout, lovely low maintenance yard, with plenty of room for a pool, overlooking the deep water canal with a private boat dock, just a short boat ride to the open gulf. Stackable washer/dryer in second bath, tankless hot water heater, finished one car garage, and exterior storage closet. Newer A/C and seawall. Private beach membership available for $144/year. 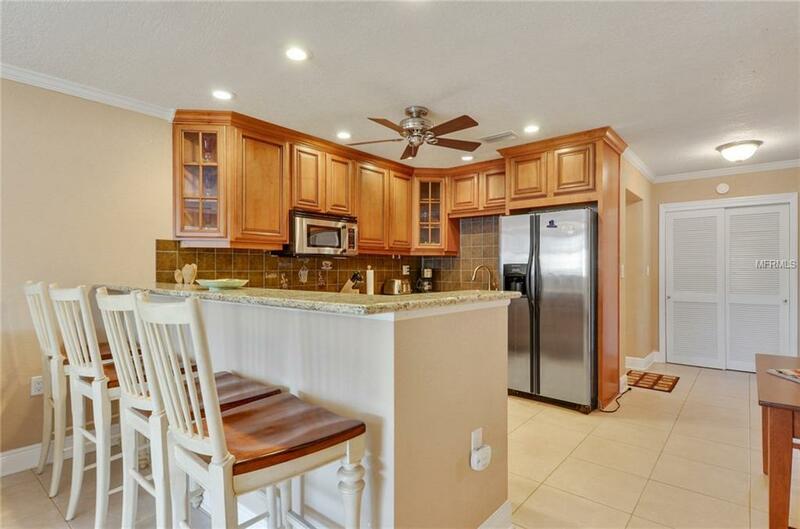 Great location, near lots of shopping and restaurants. The current owner rents this home out on VRBO. Minimum one month rentals allowed. The website with premium status and top reviews are transferable to the new owners, if interested in renting the home. Fine quality furnishings, art work, linens and kitchenware are available for purchase. 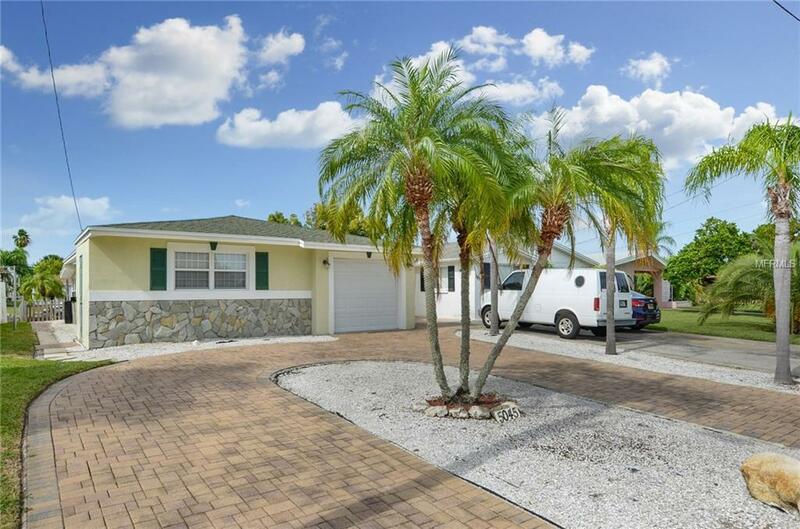 This is an excellent fully functioning business, but can also be your full time home. Additional Lease Restrictions One Month Minimum Lease.